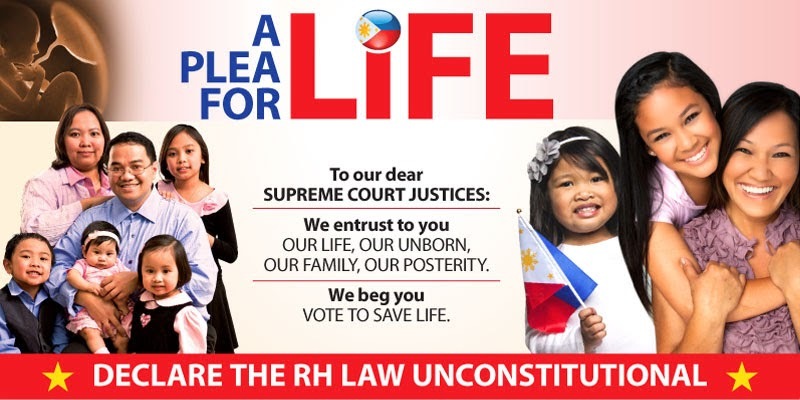 Ang dasal natin na sana itong ating justices sa SC will be guided by wisdom, will be guided by their respect for life and their love for the Lord in this country to declare it [RH Law] as unconstitutional,” he said. 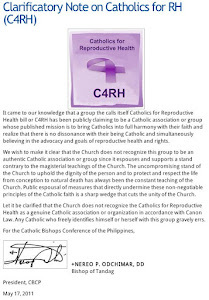 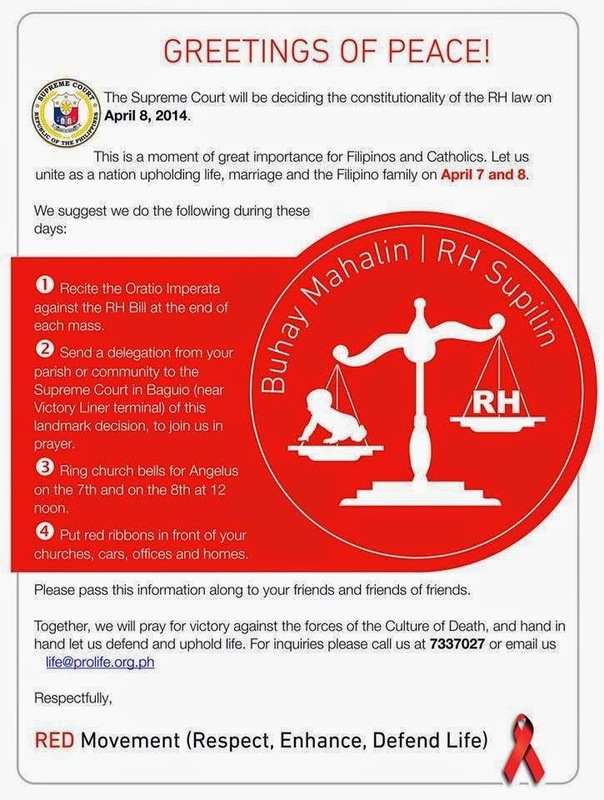 Quoted in "Church praying High Court will ‘kill’ RH law"
Manila Times website, Feb. 17, 2014. 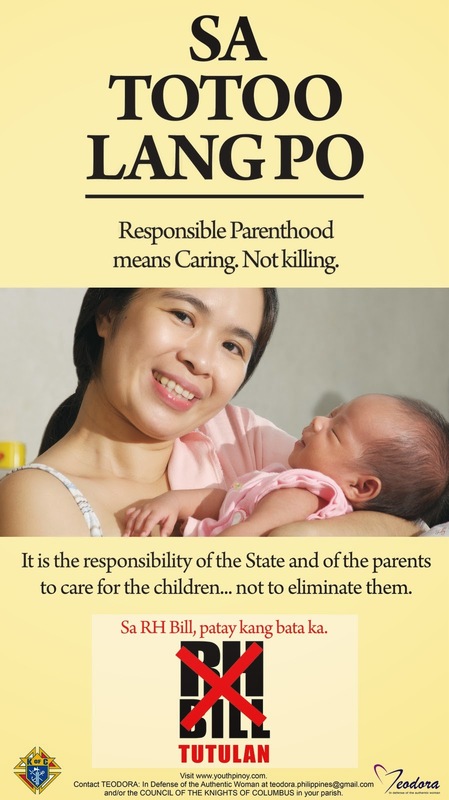 Mary, we entrust to your maternal care the cause of defending Life and Family! 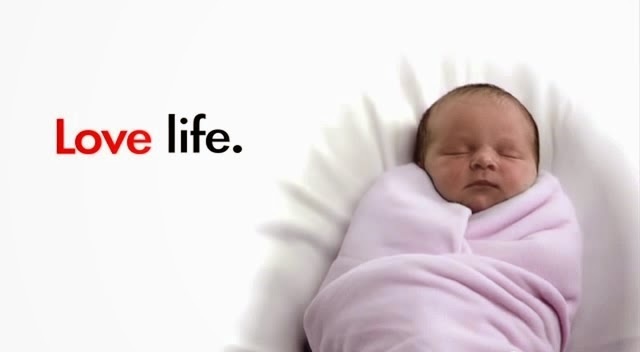 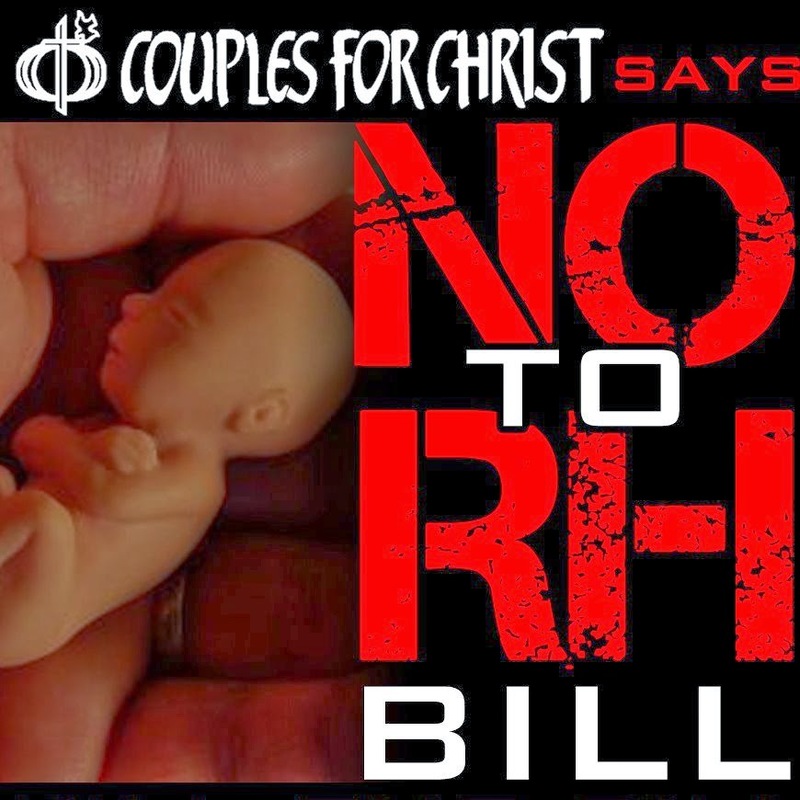 Hearken to our plea: Defeat the Culture of Death that is engulfing the world! 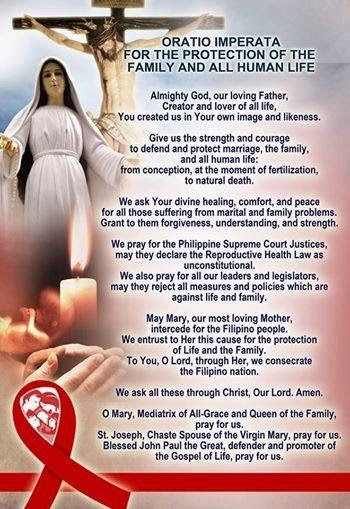 Show unto us that you are our Mother! 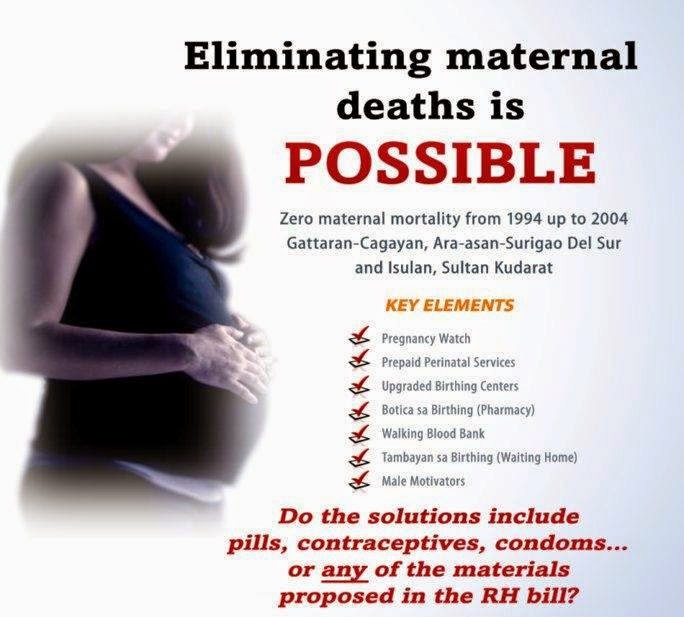 Mary, Mother of Life , pray for us! 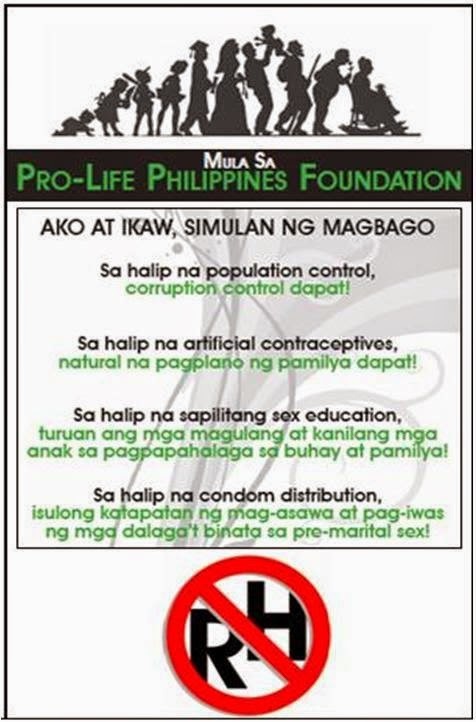 Almighty God, we thank You for You willed for us to be the People that the Devil cannot trick, as it tricked Eve. 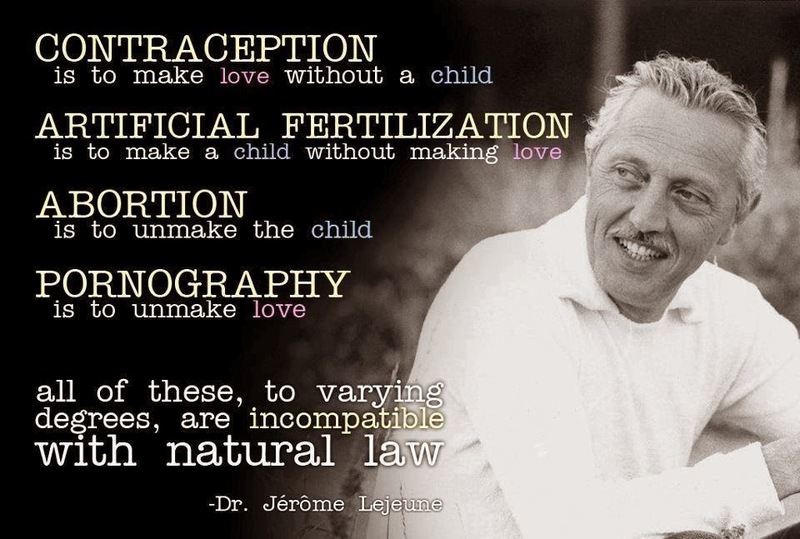 We thank You for You gave us a Spirit-guided conscience that knew how the Ancient Enemy works, so we can distinguish the works of the Devil from what You want. 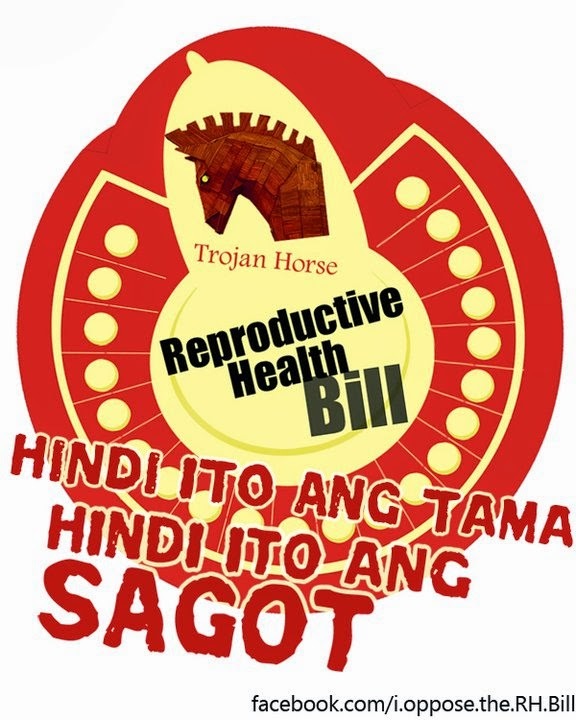 We are battling today against the RH Law that promises the bounty of worldly life, the selfish bodily satisfaction and to the delightful heights of personal freedom, but is a sure road to the meltdown of our morality and of the righteous and noble picture of sexual intimacy and the holiness of the body, which is the temple of the Holy Spirit and an inseparable aspect of our personhood. 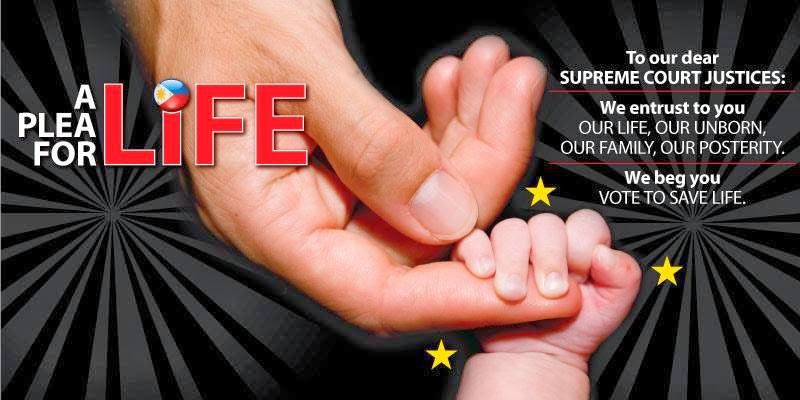 It cannot give us the life that You desire for us, a life of self-giving and self-restraint, of sacrifice and of good virtues. 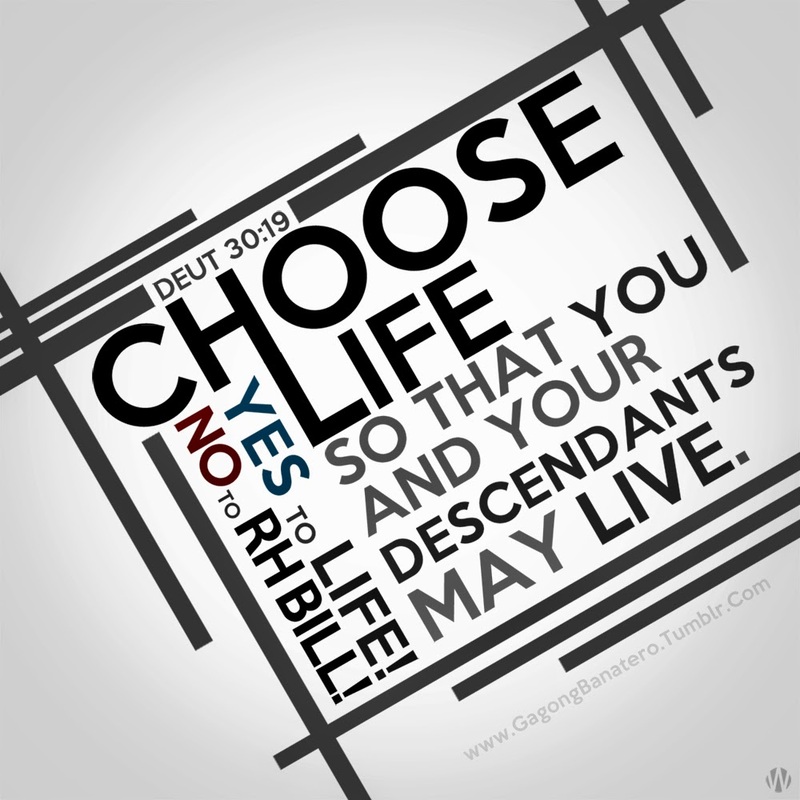 Most especially, the FULLNESS of Life promised by Your Son Jesus Christ, a blessed life that remains in Your Love for us, and in our Love for You. 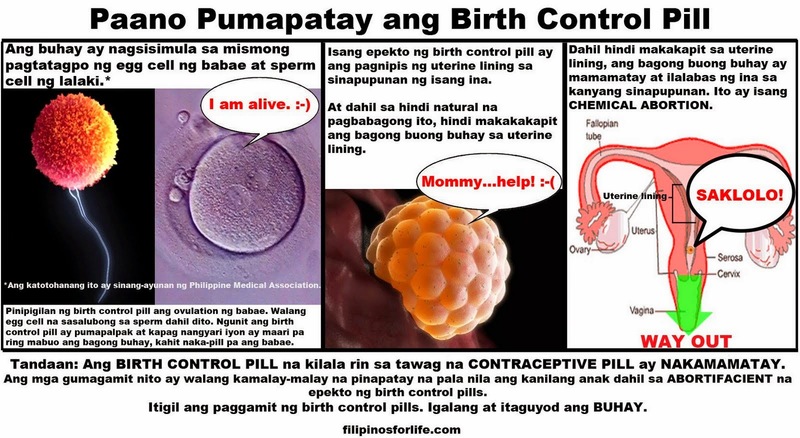 We realized that Earthly Happiness cannot help us. 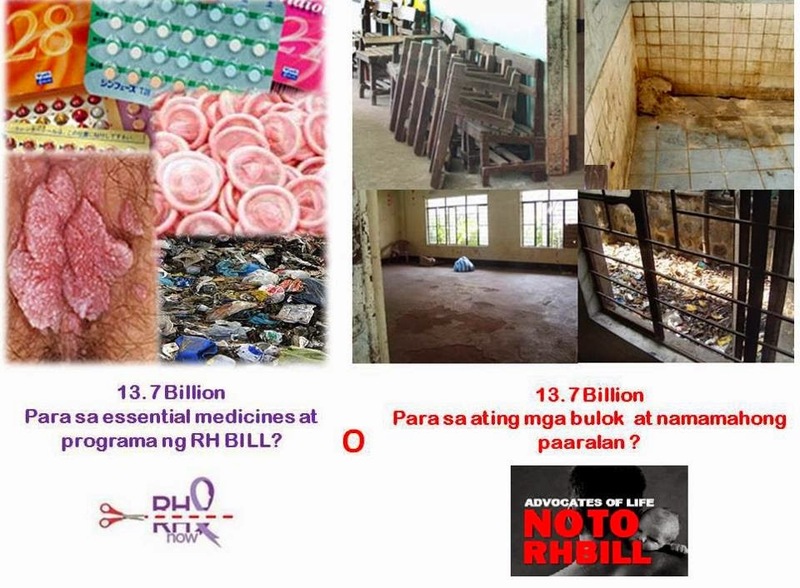 Riches cannot help us. 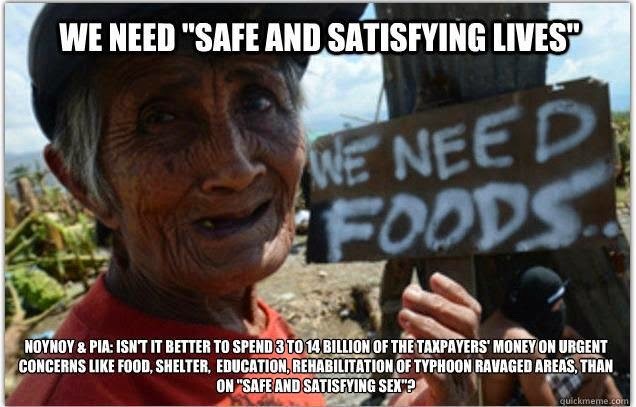 Comfort cannot help us. 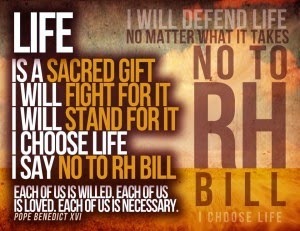 Personal choices cannot help us, if all of these are received without Your favor and blessings. 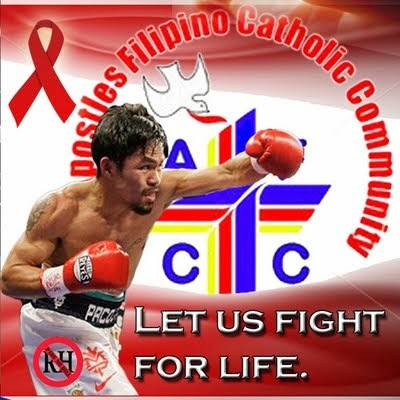 We had been outwitted by the Devil again and again, but we acclaim that in every earthly battle against the Devil with You, we can never lose. 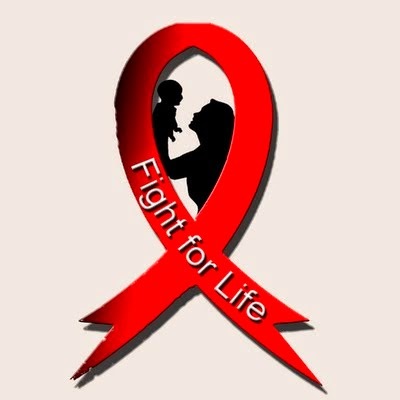 If it even goes to the point of hurt, offense, getting ridiculed and destroyed, our earthly battle promises a heavenly reward and the cheers of the elect from age to age. 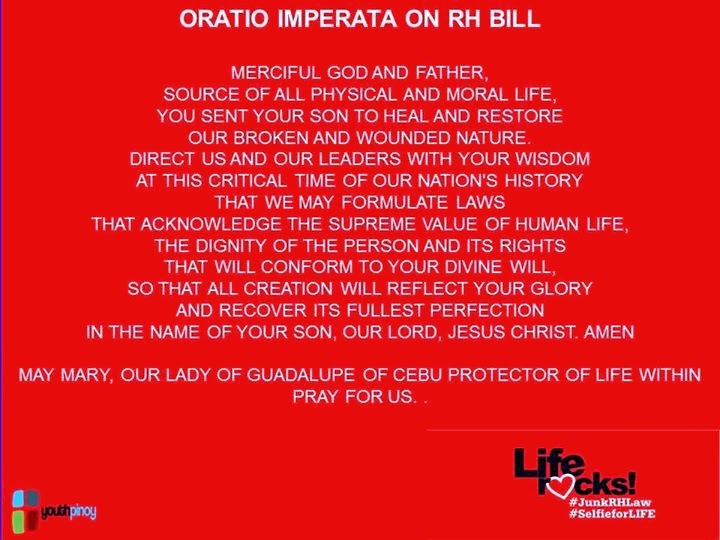 Whatever happens, Lord, as long as we do and follow Your will, in the end we believe we shall receive the glorious crown as victors of the faith. 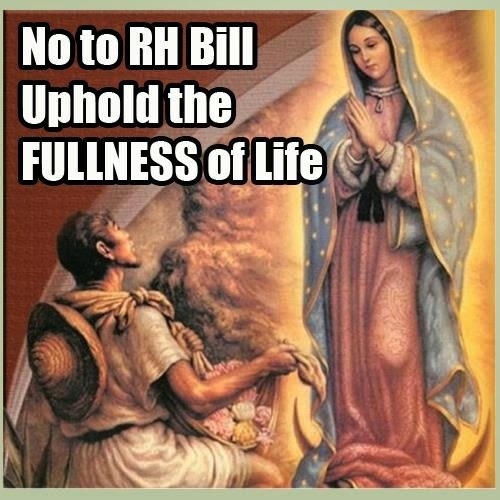 May our Mother, The Lady of Guadalupe, protect us and meet us along the way, as she meet the worried Juan Diego. 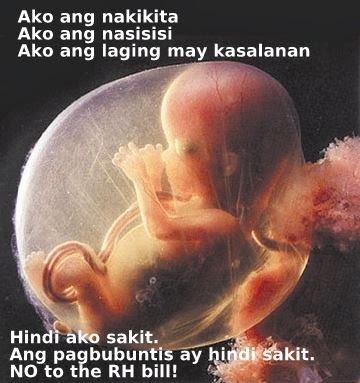 May she assure us of the Blessing of Heaven, which comes from her Son and Your Only Son, Our Lord Jesus Christ, from your company of the Most Holy Trinity. 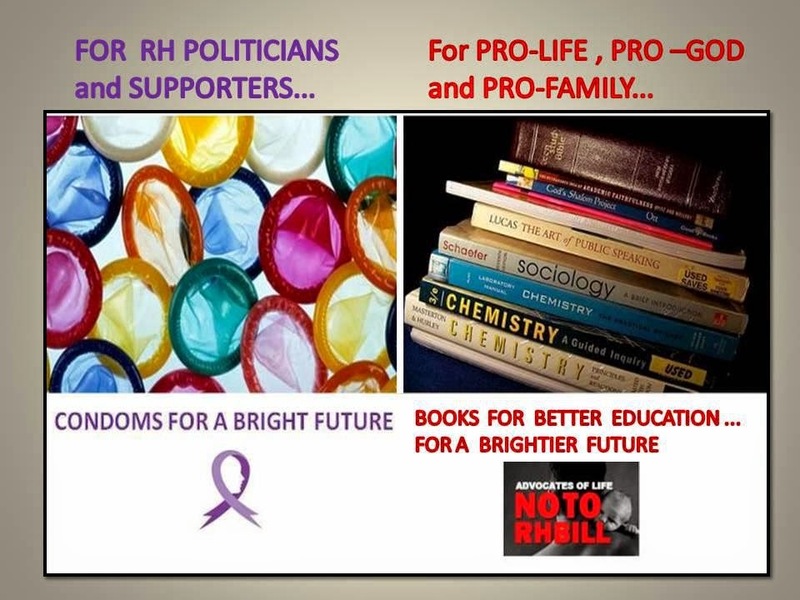 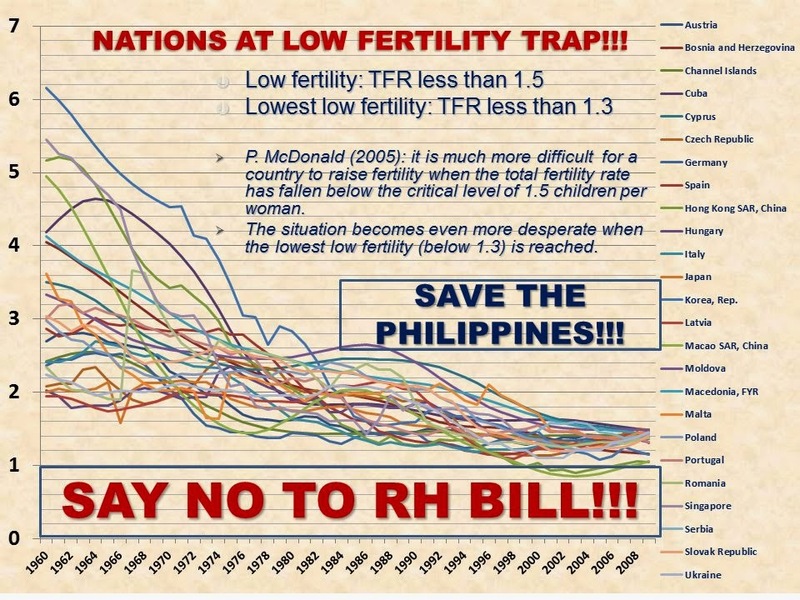 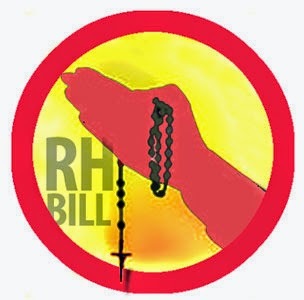 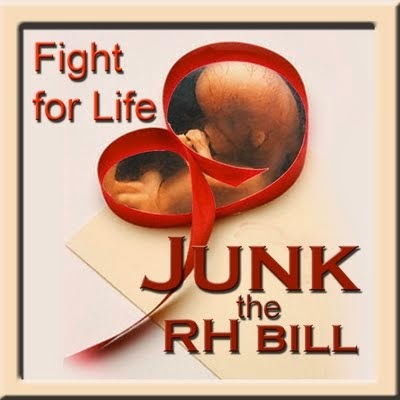 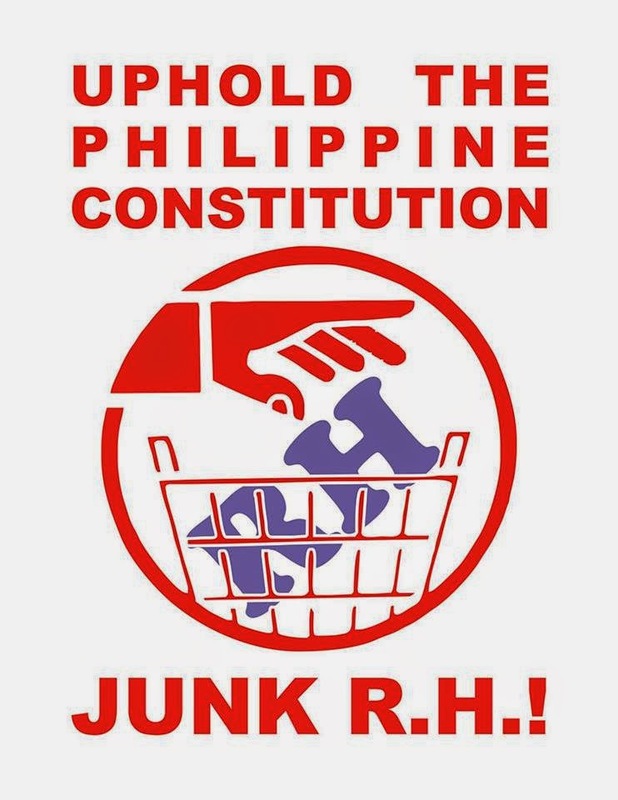 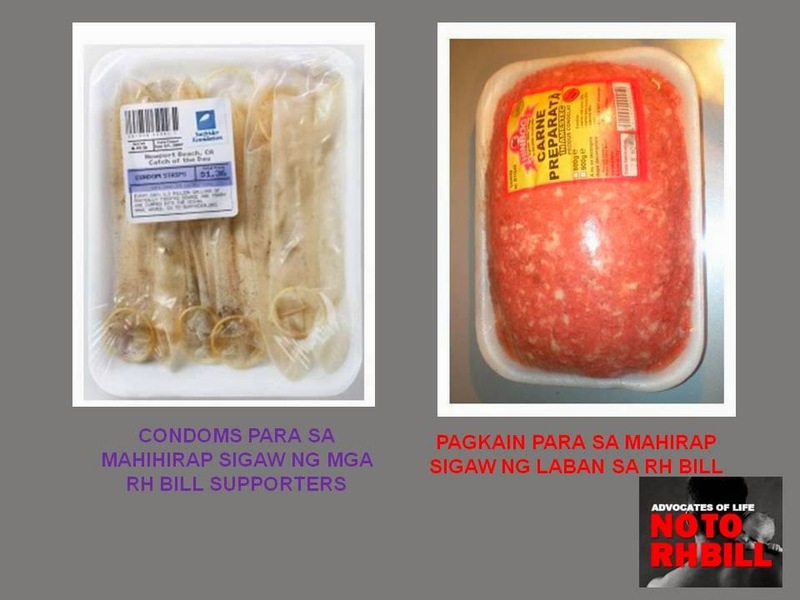 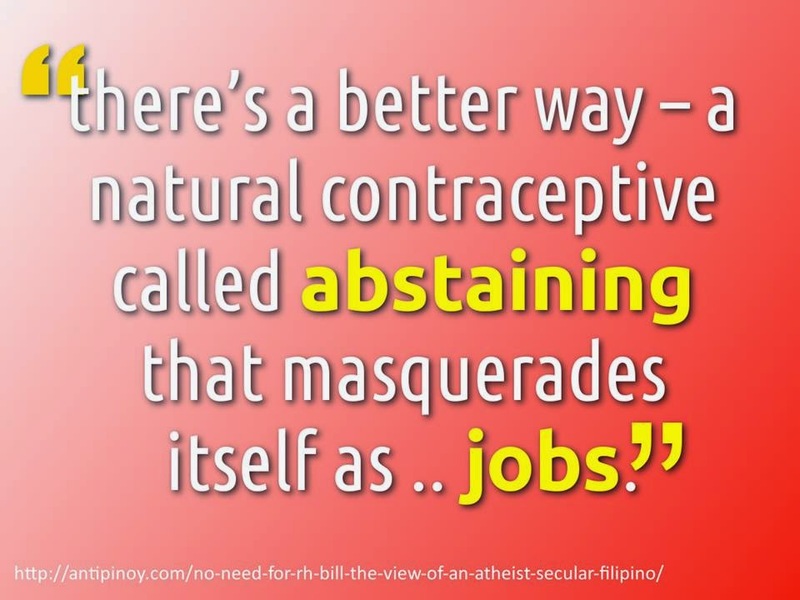 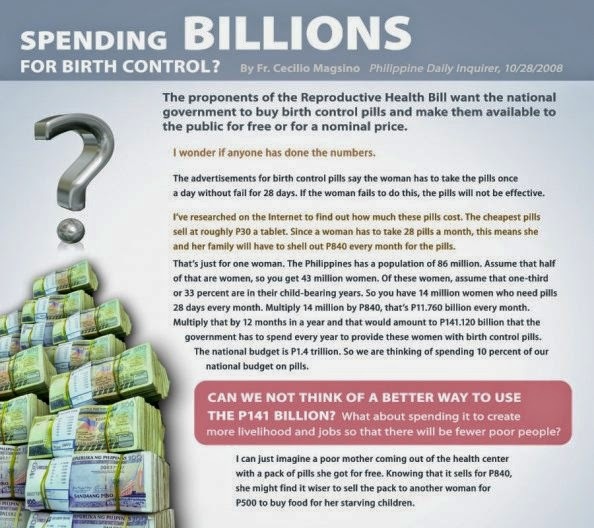 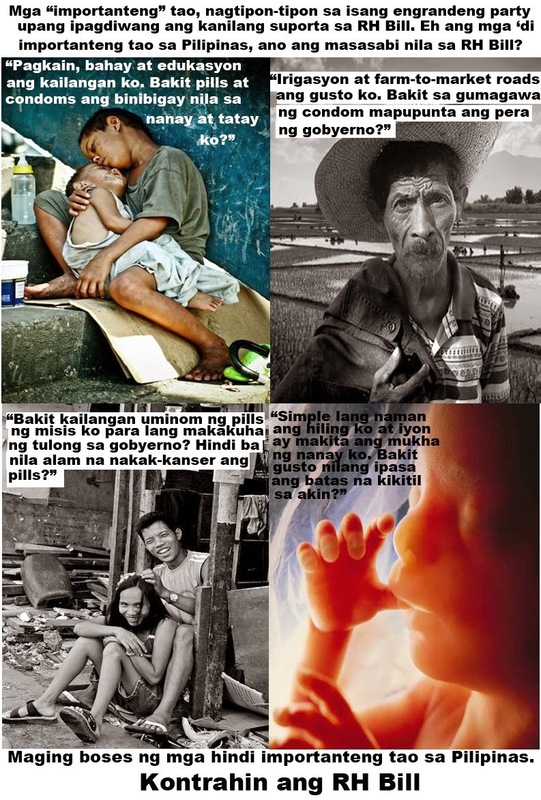 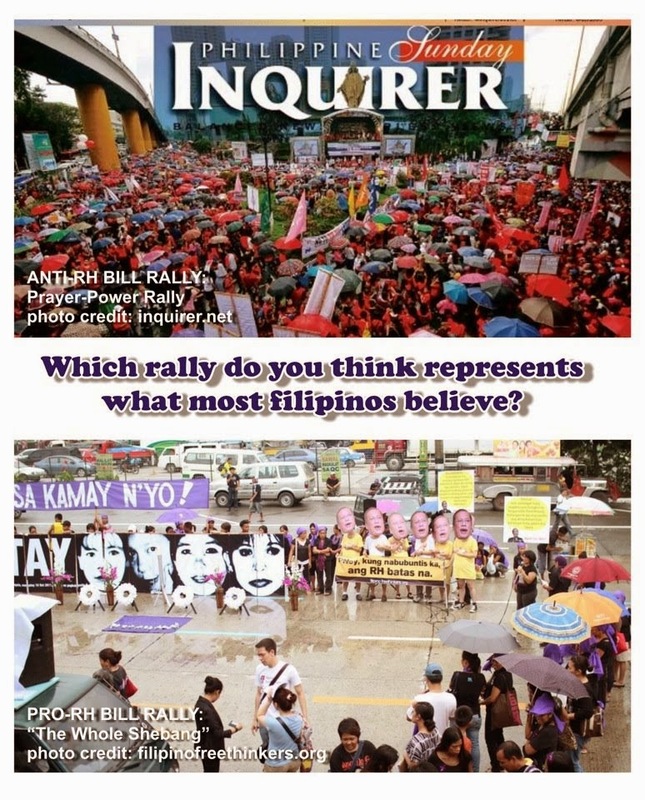 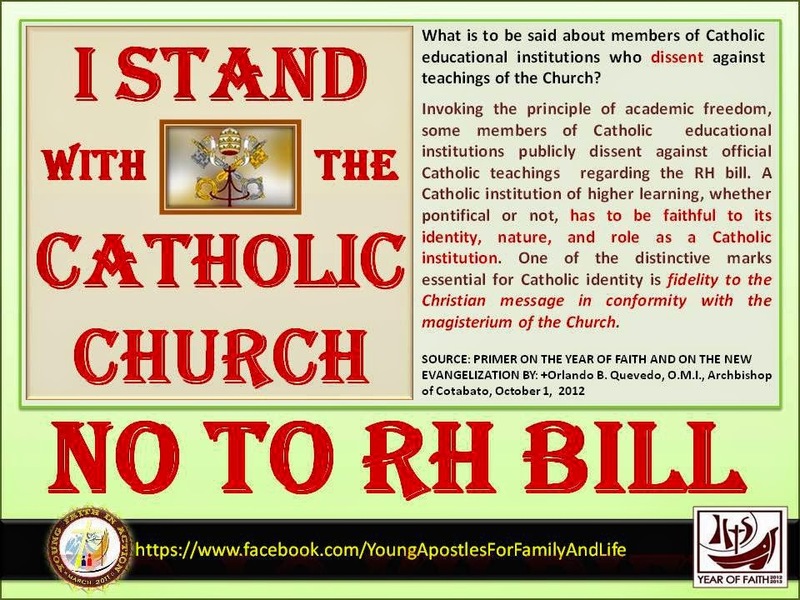 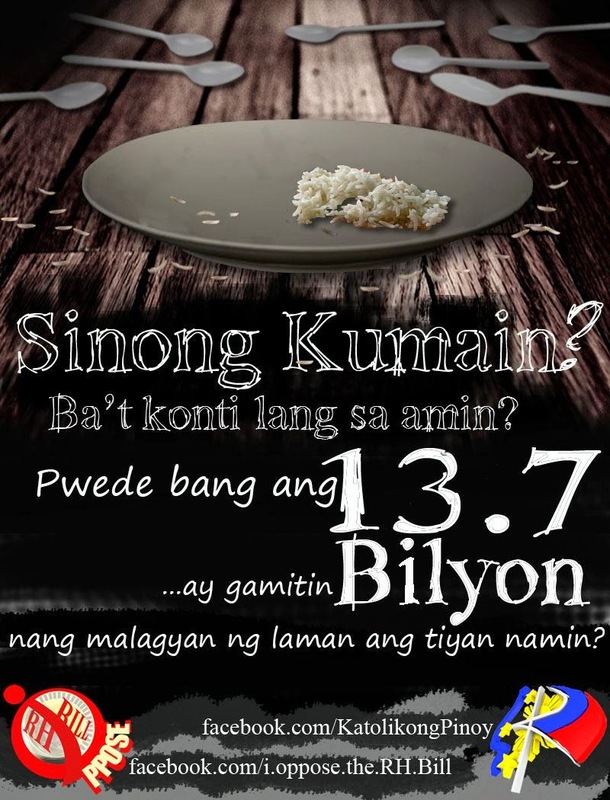 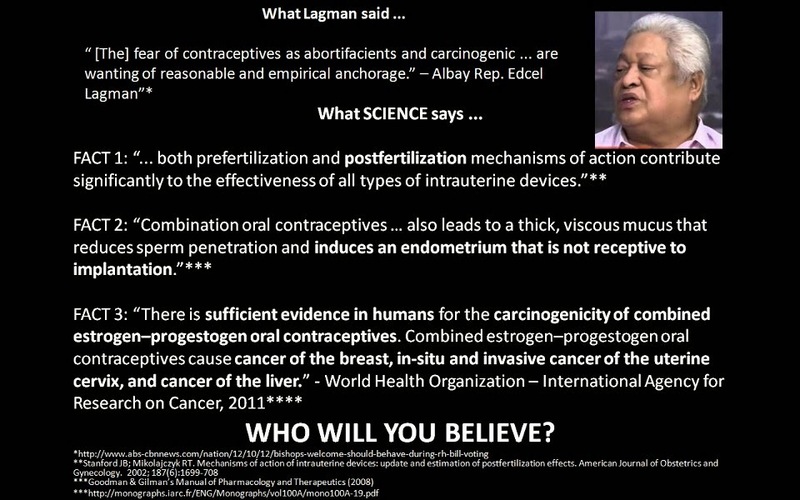 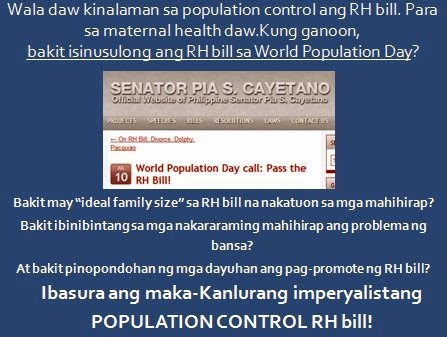 Whatever the outcome be of the fight over the RH law, it cannot be said that Filipino Catholic pro-lifers were idle, or did little to get their message across in "bite-sized" ways. 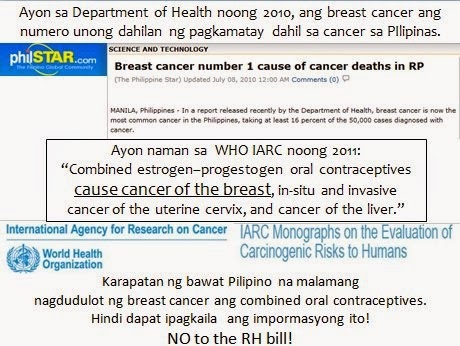 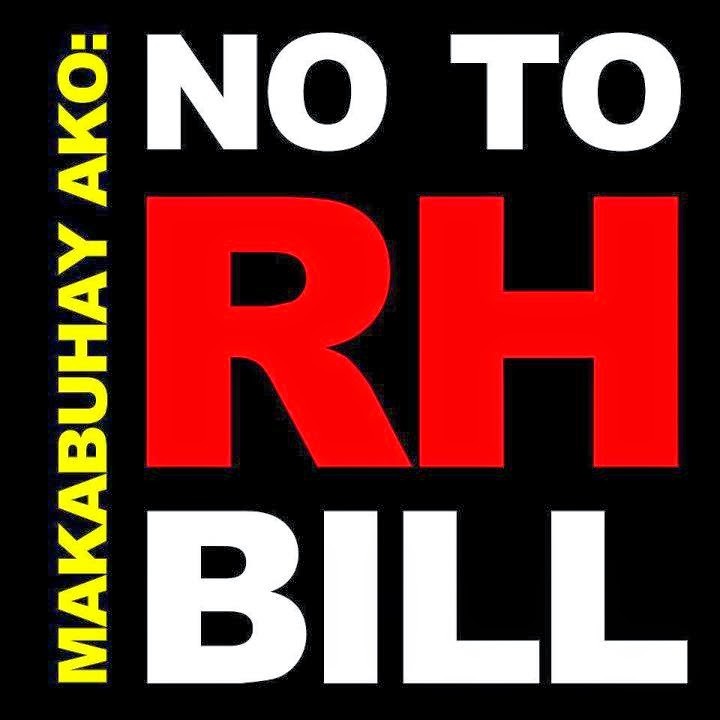 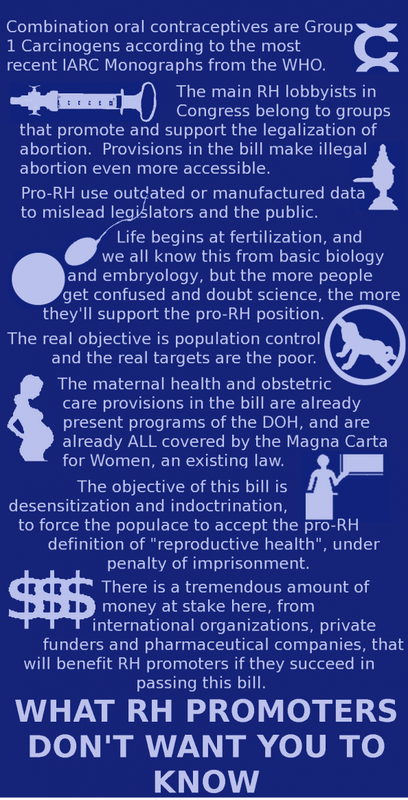 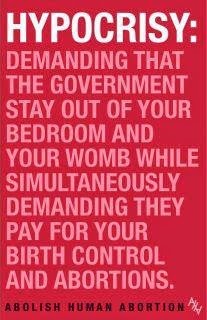 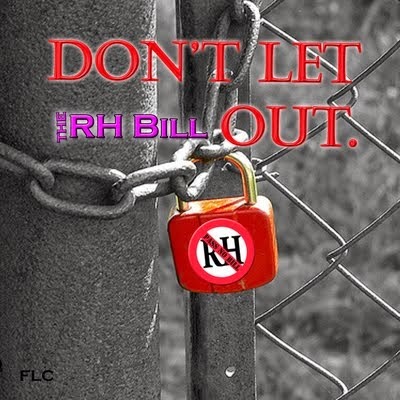 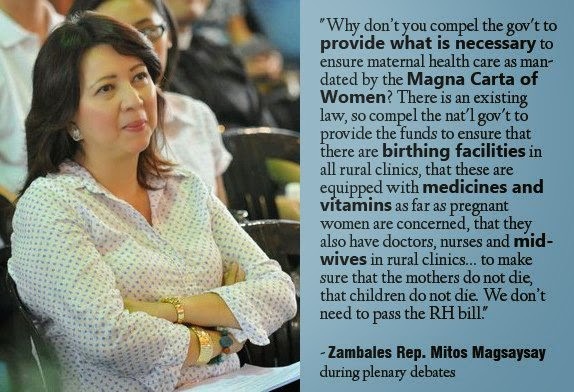 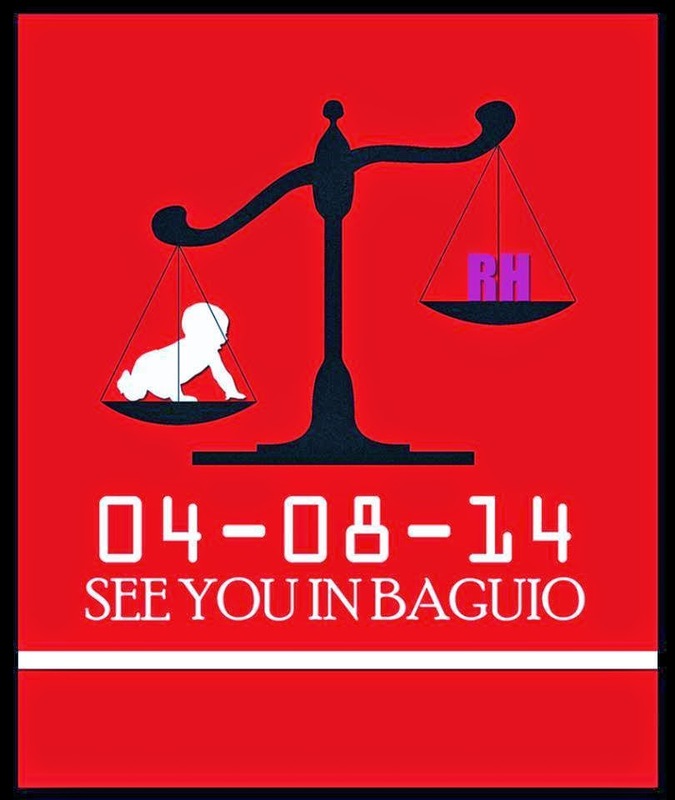 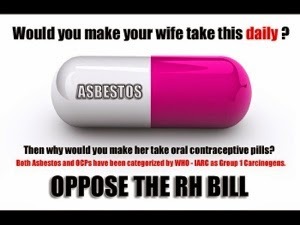 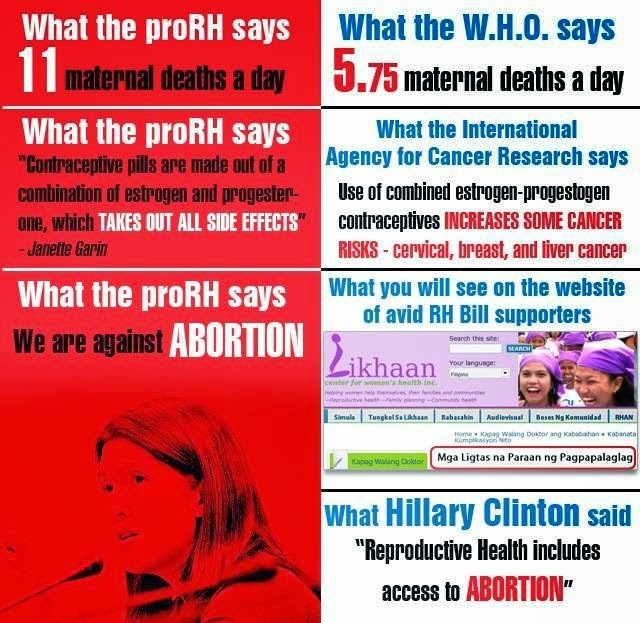 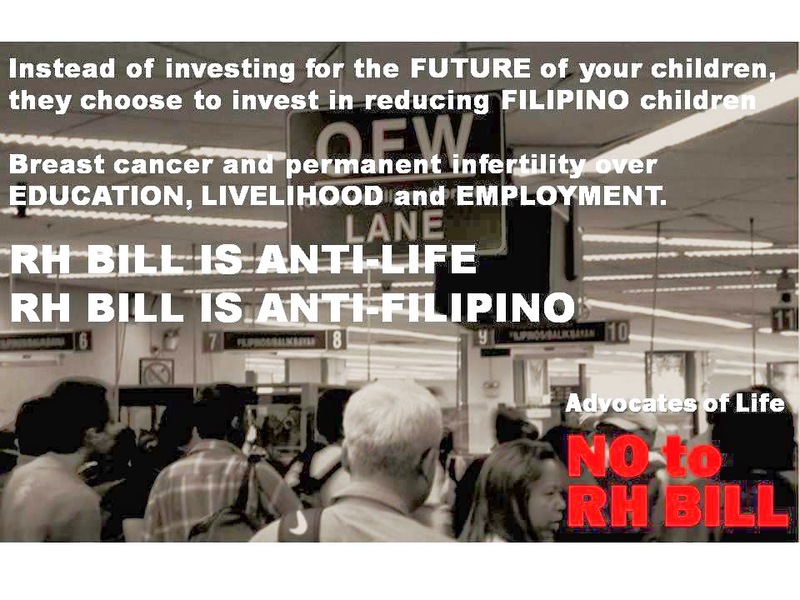 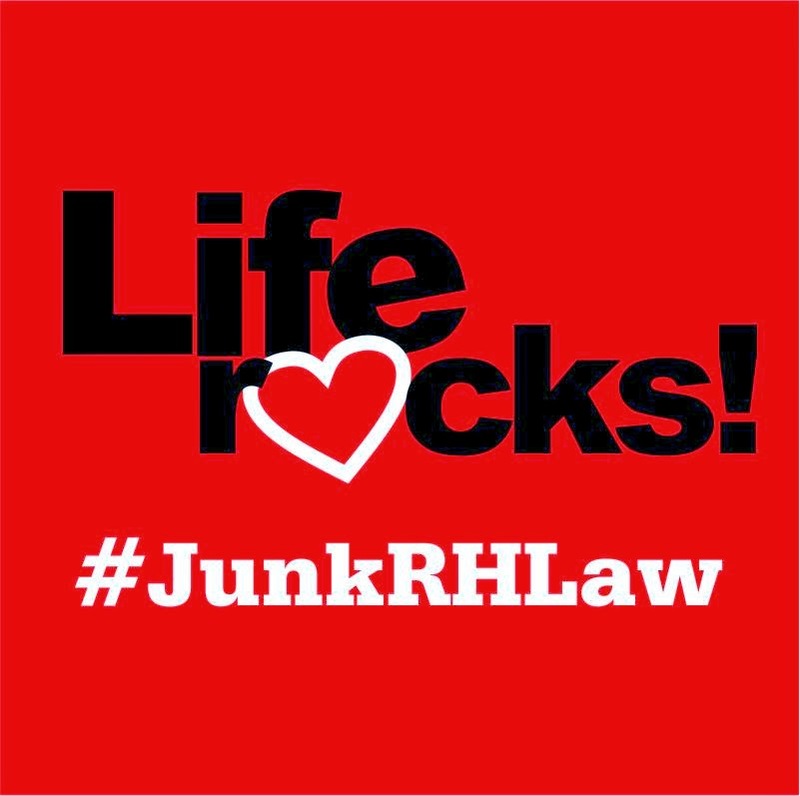 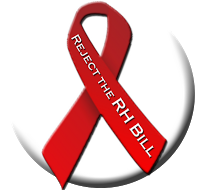 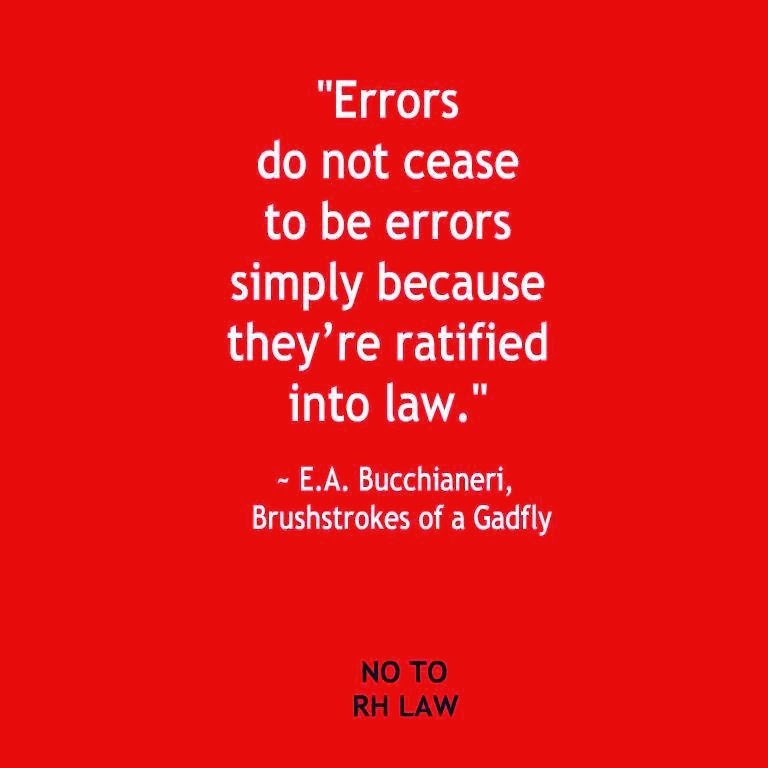 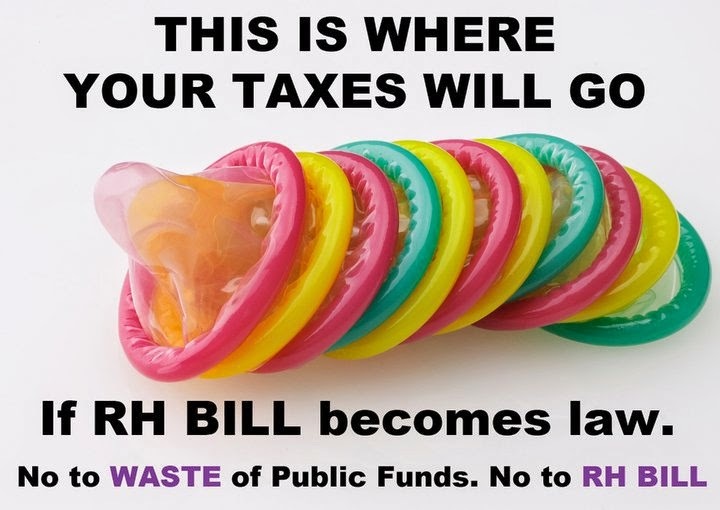 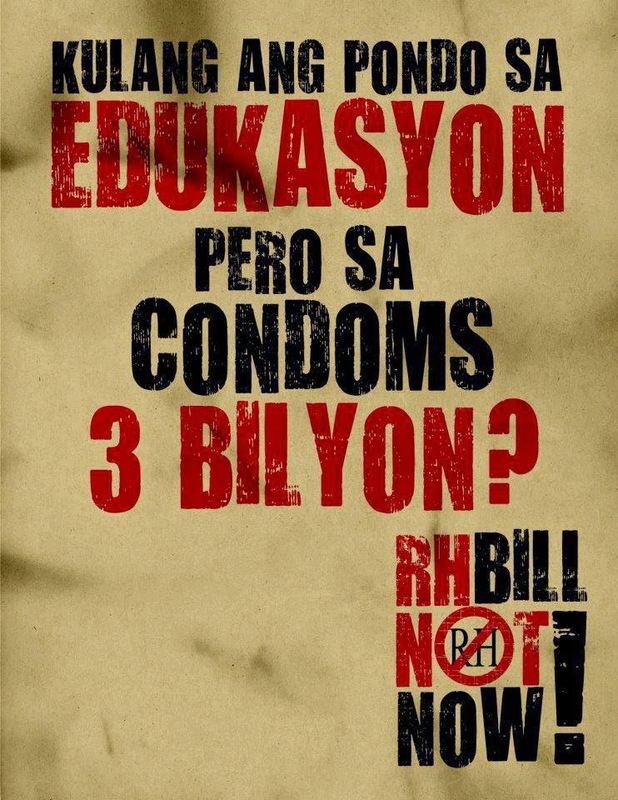 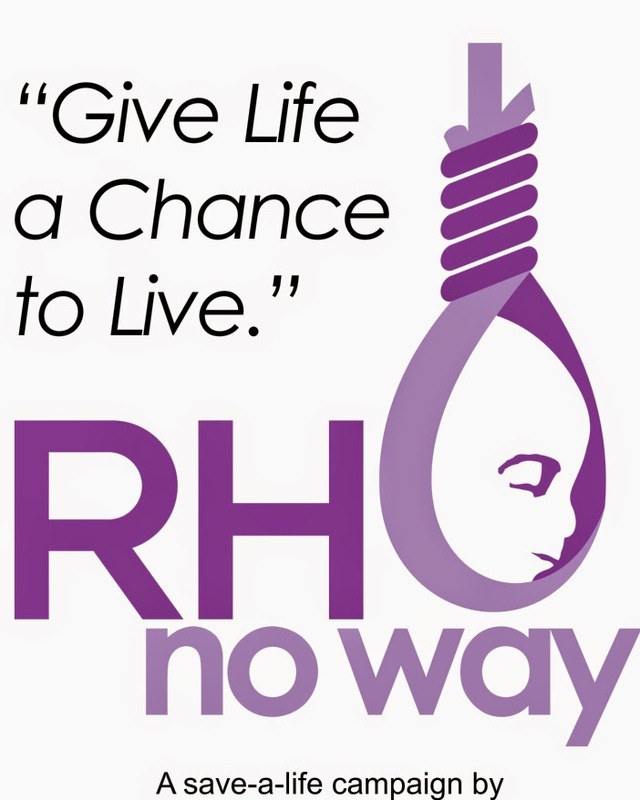 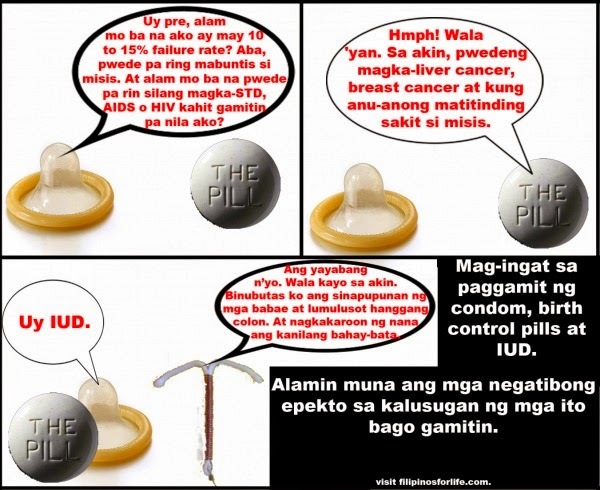 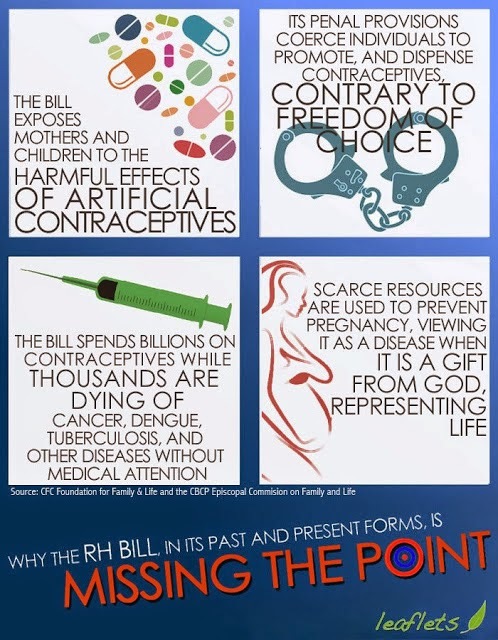 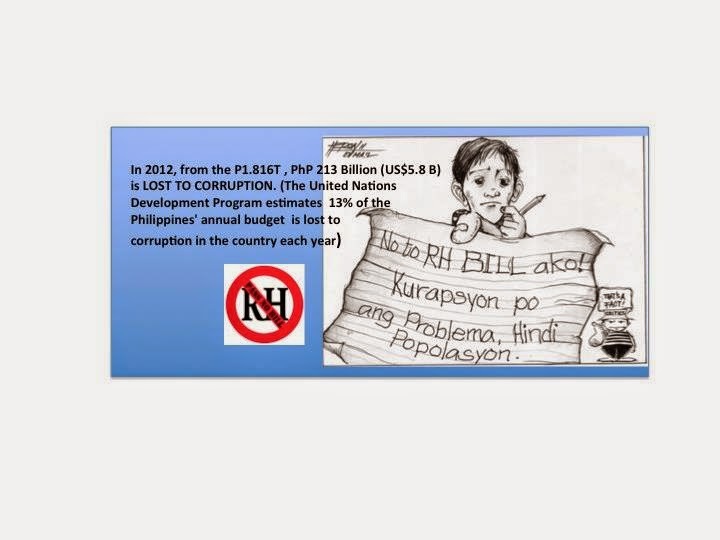 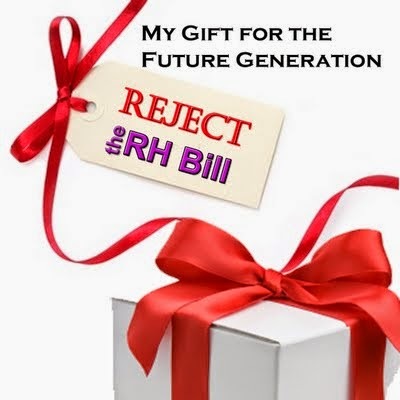 This post is my small contribution to chronicling this aspect of the fight versus the RH law.